Eudora Pauline (Sanders) Autrey, of Greeley, passed away on March 31, 2018 in Greeley, Colorado. She was born to Ernest and Ruth (Thorburn) Sanders on June 28, 1921 in Iowa. Eudora married her husband, Robert Thomas Autrey in 1944 in Greeley, Colorado. Eudora was a true artist; her favorite medium was watercolor; she also was a talented photographer and a seamstress. She enjoyed gardening and always made sure that her house had flowers. Above all, she loved her family, especially her grand and great grandchildren. She is survived by her children, John (Joyce) Autrey and Jamie (Patricia) Autrey; grandchildren, Bonnie Autrey, Ian (Meredith) Autrey and Jessica Autrey; 3 great grandchildren; and cousin, Mildred Miller. Eudora was preceded in death by her husband and parents. In lieu of flowers, please make donations to The Autrey Family Fund through the First Christian Church in Loveland. Memorial service will be held at 11 a.m., Friday, April 20, 2018 at First Christian Church, 2000 N Lincoln Ave, Loveland, Colorado. To leave condolences for Autrey family please visit, www.ncccremation.com. 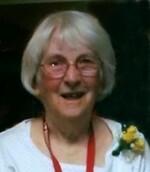 To send flowers to the family of Eudora P Autrey, please visit our Heartfelt Sympathies Store.